Good day, this is Topher from Washington Church of Christ, bringing you a positive message minute. 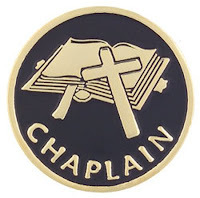 I recently enjoyed a visit with our other local chaplains and the hospital patient experience officer regarding our Spiritual Care program. I was encouraged by the group's desire to provide care upon request regardless of any divisive issues that arise in America today. Regardless of your color, your age, your theology, party affiliation, or even how you do or don't like my haircut, as a member of this volunteer team, we'll try to provide the best care we can. It all stems from the idea that you were created by God in His image (Genesis 1:27) and because of that special status, we believe you deserve the right to spiritual care upon your request. As my dad says, "If you can help people, do it, cuz that's the right thing to do." Jesus, shared much of this same idea through the parable of the good Samaritan in Luke 10:25-37 after he boiled down all laws to just two commands, love God and Love people (Luke 10:27-28). The scripture says, "But a Samaritan, as he journeyed, came to where he was, and when he saw him, he had compassion." (Luke 10:33). Friends, focus on having compassion on someone today, whether they look like you or even whether or not they like your hair cut. Have compassion and help whenever you are able. You'll be glad you did. The Dumb Phone Is Cool Again! Good morning, this is Topher, from Washington Church of Christ bringing you a positive Message Minute. Did you see the recent news article that the Nokia 3310 feature phone is being re-released this year? That's right, this classic phone that many of us carried 15 years ago has been upgraded. No, it's not a breakable, power-hungry smart phone (really, who likes being tethered to a wall outlet? ), but it does have a camera, headphone jack, durability, one month long standby time, and a price-tag of $52. In an age where everyone wants bigger, better, and bolder this simple phone with long-lasting power might have a chance. The Old Testament covenant seemed bogged down with lots of features, abilities, and the need to be tied to your local power source, the physical temple. Aren't you glad for God's New Covenant that pares things down to simplicity ("Greatest Commands of Love" Matthew 22:36-40) and gives us freedom from a stronger internal power source? Consider this writing of truth, "Do you not know that you are a temple of God and that the Spirit of God dwells in you?" (1 Corinthians 3:16) Today, spend time praising God for the simplicity of the Gospel and the strong internal Power of the Spirit. You'll be glad you did. Here is some of my finest poetry written for you. The community of Washington has my deep gratitude. Annually, when I host a blood drive, I get to hear about so many people who are doing so much to try to benefit the lives of others. For instance, people message me their support and well wishes for this blood drive even though they can't donate because they've already given recently. Thank you for donating! Others send me encouraging words as they would like to donate, but because they have served in certain third world countries recently, they are unable. 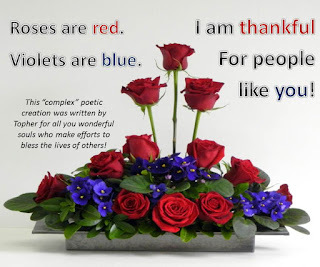 My many thanks goes to you. I also get to know some of the community minded nurses, firefighters, and police officers who daily sacrifice for others AND roll up their sleeves for people here. To all of you, who try to be a blessing in the lives of others, through your job, your hobby, or donating blood, I thank you. You make the lives of Hoosiers better every day. Paul shared this wisdom in 1 Thessalonians 5:18 - "Give thanks in all circumstances; for this is the will of God in Christ Jesus for you." Today, give thanks for someone who is a blessing in your life. You'll be glad you did! Study Starter: Rare Steak or Power in the Blood? Wow, with such strong scriptural admonitions against eating blood, what do we do about traditional foods today such as the German blood pudding, blood soup, and blood sausages? 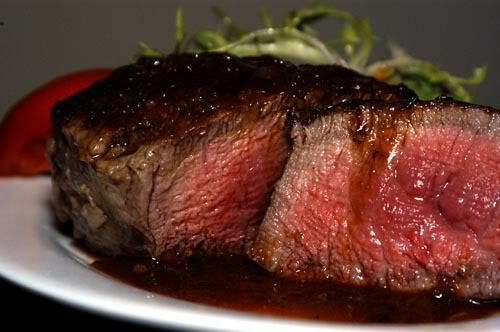 Should we be warning all those carnivorous men and women who enjoy eating their steak rare? Should we be teaching more on this topic as part of the plan of salvation since it seemed good to the Holy Spirit? Within a document as varied as the 66 books of history, wisdom, poetry, letters, and apocalyptic writings of the Bible, we can unintentionally pull out scriptures that seems contradictory, as if God's Word doesn't agree with itself. Thankfully we have a good God who gives understanding through His Holy Spirit as we study, meditate, and ponder God's good Word. For us, Gentiles, in churches today striving to follow the wisdom and patterns of the New Testament, it is essential that we pray for God's guidance and that we study with "best practices" such as considering the context of our passages. Enlightenment from Jerusalem and beyond. First, consider the broader context of the NT. We don't see the prohibition of blood anywhere else. Consider the context of the covenant moving from the external purity of OT to inward purity of the NT, as evidenced in Matthew 15:11 (see above) and Matthew 5:8 "Blessed are the pure in heart, for they will see God." Consider the context of Acts 15 where we see discrepancies in the practices of the Jews and Gentiles within predominately Gentile churches such as Antioch (15:1). The Jews were teaching that one couldn't be saved without circumcision, including Gentiles. There were problems between the two culture systems existing within the church. It appears that the Jerusalem Council, in an effort "to maintain the unity of the Spirit in the bond of peace," (Eph 4:3) gave the Gentiles four big ideas to abstain from so as to maintain unity with the Jewish Christians in their congregations. While it wouldn't be a personal sin to eat blood, it would be a moral struggle for Jews growing up under the law of Moses. This is the concept behind the often quoted 1 Corinthians 8:9, "Be careful, however, that the exercise of your rights does not become a stumbling block to the weak." After all that meaty conversation, I'll summarize what I take away from the table after this spiritual meal. There are no purity prohibitions on food today (drunkenness is a different issue), except that we try not to consume things that cause groups of believers to question our faith, out of respect for their faith. We are grateful that the Jews believed there is Life in the blood, because that sets up our belief that through the Blood of Christ, we find eternal Life today! Be grateful for blood and the power of life it gives for all who would know and obey Jesus! So that's what I've got cooking on the subject. There's a lot more information and scripture we can go to if you want more discussion, but I think it would have belabored the blog and points would have been lost if I posted it all here. I'm curious your thoughts, especially those of you with Jewish backgrounds. What do you think? I'd love to listen and learn. Oh, and thanks for the invite, but I'm not interested in eating your blood pudding and I like my steak medium well. Living Lessons & Study Starters are articles written for the weekly Washington Church of Christ bulletin. You can find more by clicking HERE or searching for "Study Starter" in the right sidebar search. Speaking of Blood, don't forget that we have a blood drive coming up this weekend so that you can donate life to another! 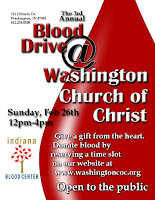 Sign up at www.washingtoncoc.org to give blood between 12-4pm on Sunday, Feb 26th. Philippians 4:19 - "My God will meet all your needs according to the riches of His glory in Christ Jesus." This beautiful verse comes at the end of a peaceful and joyful letter to a people whose lives aren't all peaches and cream, whose lives struggle through heartbreak and hurt, whose days frequently visit the dark places of anxiety and worry. Knowing that your most basic needs are taken care of is one of the most comforting ideas to those tossed about by the trials of life. I received this message from the inventory manager of the Indiana Blood Center concerning Hoosier needs, "With current appointments, we will not be able to fill our upcoming hospital orders for the remainder of this week. 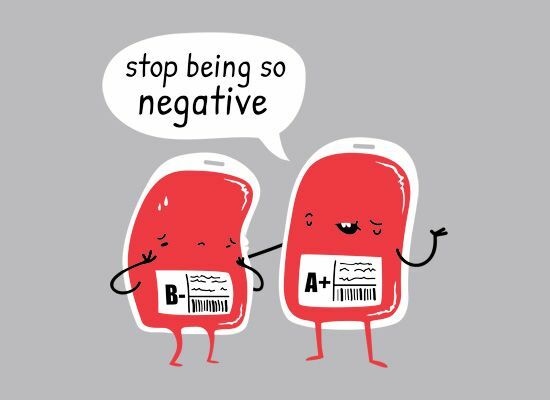 Less than a one day supply of O positive and O negative blood is currently available for patients. Inventories of all types are low." A screen shot from my email yesterday. There are needs, and you can meet needs. 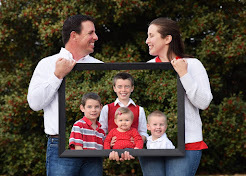 Whether is the need of a child to know they are protected, the need of a loved one to feel valued, the need of an aging parent to have a roof over their head, or the need of a neighbor for a blood donation, you can meet someone's needs. Strive to bring comfort, peace, and joy by giving someone the assurance that their needs are fulfilled today. You'll be glad you did. If you'd like to help meet needs through a blood donation this Sunday in Washington, you can sign up at www.washingtoncoc.org. Let's all just laugh for a minute, trust me it's worth it. Ok, I've got one for you. Did you hear that someone in Washington squished a mosquito the other day? Yeah, I hear their gonna be bad this year. That's a great reason to give blood this Sunday, so the mosquitoes don't get it first. Did you hear about the two red blood cells that fell in love? Yeah, but they don't make for a good story because their love is always in vein. Always give 100%, unless you're donating blood. Why are we doing our blood drive in the afternoon? Because AB Caffeinated isn't a blood type. I hope you got at least a little chuckle out of those, if not, go drink some coffee and listen to them again later. 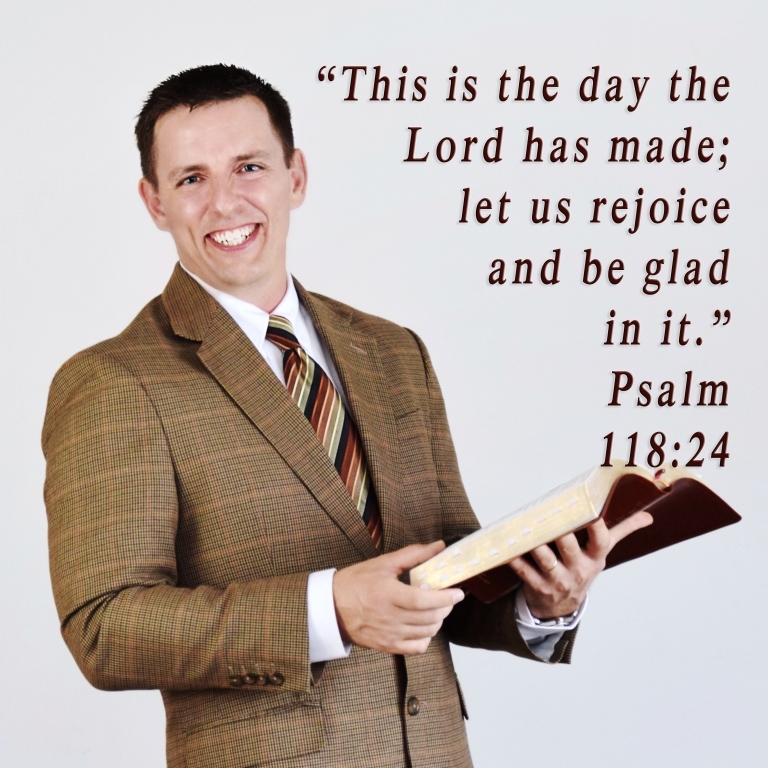 Psalm32:11 says, "Be glad in the Lord, and rejoice, O righteous, and shout for joy, all you upright in heart!" There is something about doing something "upright in heart" such as donating the gift of life, that should make us be glad, rejoice, and shout for joy. I hope you can do just that this Sunday from 12-4pm at Washington Church of Christ as I host a blood drive through the Indiana Blood Center. 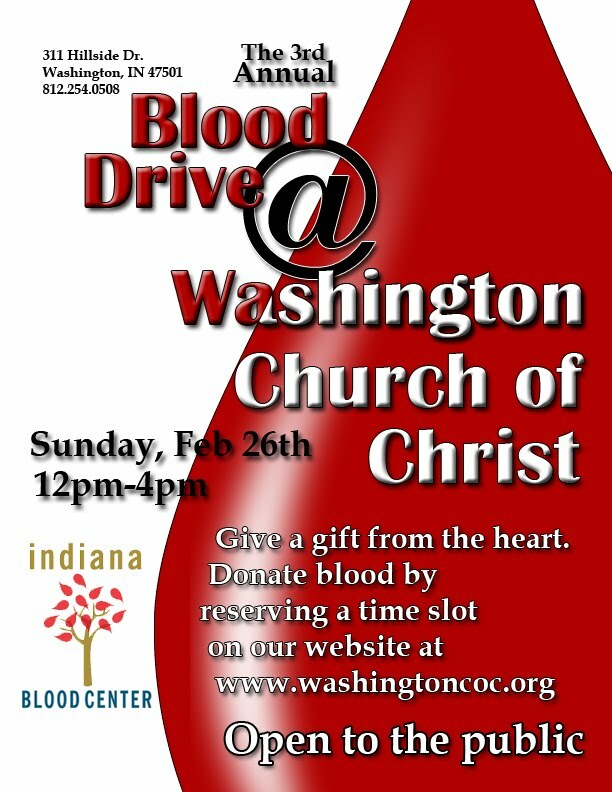 Even if you can't sign up at www.washingtoncoc.org for this blood drive, plan to do something today that is "upright in heart" that will make you and others "be glad in the Lord." You'll be glad you did. I'd like you to consider making this Sunday your cheat day and enjoy whatever snack cake you want after donating a gift from the heart as you give blood in the blood drive I'm hosting at Washington Church of Christ. 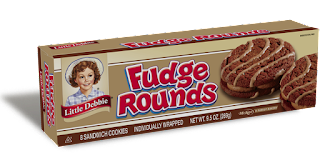 Sign up on our website at Washingtoncoc.org and request your favorite indulgence so you can spend a moment to be glad at the gift of life you gave and the fudge round craved. Again, to help in giving life to another this Sunday, sign up at www.washingtoncoc.org. You'll be glad you did. This week's Message Minute will be a little different than usual because I will be focusing on something that is very important to me. Giving to others with all your heart. Giving people the opportunity to help save lives is a growing passion of mine. The best vehicle through which I've found to do this is through hosting a blood drive. 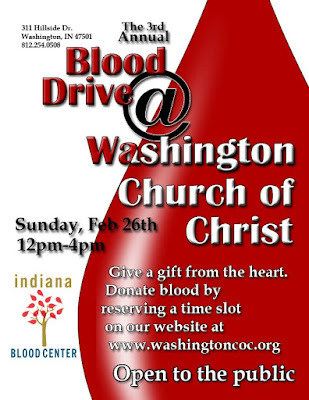 This Sunday (Feb 26) from 12 to 4pm at Washington Church of Christ, the Indiana Blood Center will be helping those who are able, to give a gift from the heart that truly saves lives. Since my mom, my wife's grandmother, and several of my friends in our church have all received blood transfusions, this effort is just a small way to "pay it forward" the good deeds of those who saved the lives of my loved ones. To sign up for a time slot or get more information, go to our church website at Washingtoncoc.org. Remember Paul's good direction in Colossians 3:23a, "Whatever you do, work at it with all your heart, as working for the Lord..." You'll be glad you did. P.S. Let me know which type of snack you like as "recovery fuel" after you give blood. I like fudge rounds and Mountain Dew. 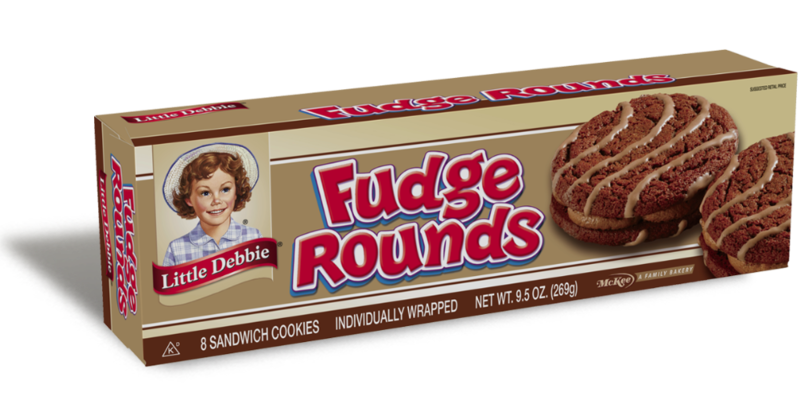 Come have a fudge round with me or request something of your own! 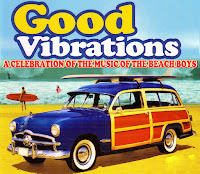 Since Message Minutes air on Memories 107.9 radio station with DJ DeWayne Shake, let's just take a minute to focus on a positive musical memory that Dewayne will enjoy. 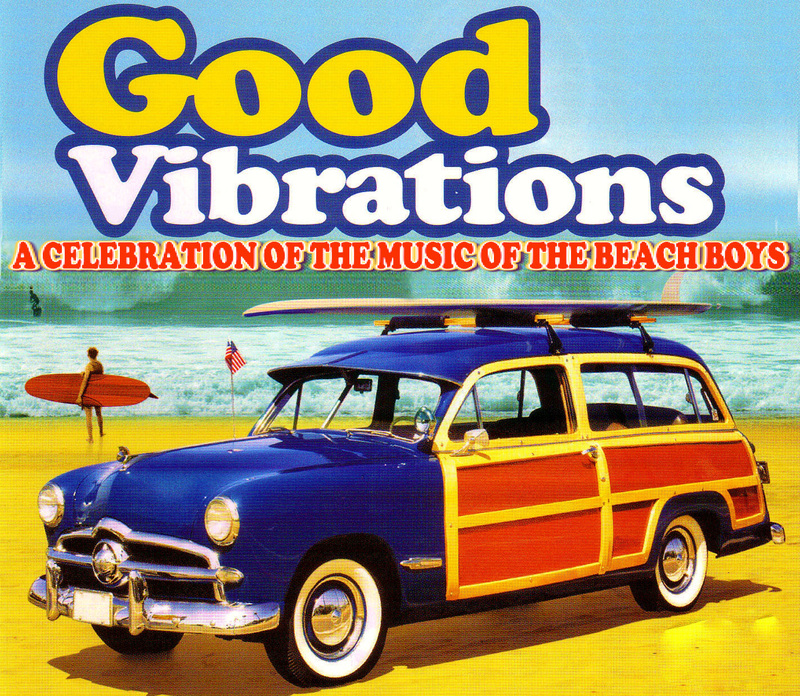 Do you remember that Beach Boys hit, Good Vibrations? Here, let me help you. (Music Clip) Now you remember and you can sing it all day long in honor of it's recording which started today, on Feb 17th, 51 years ago (from history.com). This simply worded song about the joy a man feels at the face-to-face interaction with the lady of his attention is a song that makes us all smile. This song has about as many Oom Bops, Na nas, and Do do's as it does lyrics, (Music Clip) but we can all appreciate the joy shared. The beloved disciple John shares with us also the joy of face-to-face interaction. In 2 John 1:12 he writes, "I have much to write to you, but I do not want to use paper and ink. Instead, I hope to visit you and talk with you face to face, so that our joy may be complete." People, there is a joy that is unparalleled when people come together. So make efforts today to sacrifice some Facebook and FaceTime for the Joy of face-to-face interaction and good vibrations. You'll be glad you did. I have a cold and a confession. Paper towel is my nose’s nemesis. You know that feeling. Your cold is chugging forward on full steam. You nose is running faster than Usain Bolt. Your raw skin is redder than Santa's cheeks. Then that dastardly event hits. It can strike anywhere; while you're riding in a car, in a meeting at work, or in the hallway at school. You kindly ask for that precious commodity of facial tissue hoping for one of those name brands like Kleenex with aloe, when someone hands you the dreaded brown paper towel of death. They may be trying to help, but you resent them as you have no choice but to rip your face off with this rough substitute for soothing nasal salvation. You may laugh at my hyperbole, but I think it's similar to what is happening in our communities today. The world around us is suffering. Some are being battered and beaten by falsehoods, fake news, and self-serving ideologies that plague our culture while others are simply indulging, unaware of the consequences. Some are red and raw from the daily grind of balancing work, family, study, health, and spirituality to finds themselves caught up in worldly escapes. People are ill and need healing relief but some of us caught by culture are handing them rough paper towels of self-righteous judgment, condescension, and verbal combativeness instead of soothing relief for their "sin"us drip as we drag them to the Good Doctor. Jesus came to offer healing from sin and the physical maladies He touched on earth. “Jesus went through all the towns and villages, teaching in their synagogues, proclaiming the good news of the kingdom and healing every disease and sickness.” (Matthew 9:35) While you and I certainly aren’t Jesus, we do have a purpose in His healing process that includes drawing people to the Healer while we share comfort, hope, and encouragement. From your face-to-face interactions to your Facebook reactions with souls who are ill from this world’s sin-sickness, are you the Kleenex with aloe or that resented and rough brown paper towel? Paul directs Titus, "To speak evil of no one, to avoid quarreling, to be gentle, and to show perfect courtesy toward all people. "(Titus 3:2) Look at yourself and grade which type of facial wipe you represent. Then choose to bring soothing relief today as you bring people nearer the Healer. May God make you great through His gentleness. From your face-to-face interactions to Facebook reactions with sin-sick souls, are you the Kleenex or that resented & rough paper towel? Principals can learn too, Topher on a Segway! That's a Whole Lotta Faithfulness! If not Handsome, then Handy!